Decorate the Christmas tree like a true Pokemon Master with these Pokeball ornaments! Each one of these hand decorated ornament sets include three sparkly baubles to include in your Christmas tree decorations this year. Make a Hylian fashion statement while out on all your adventures with Link’s Kokiri hat! 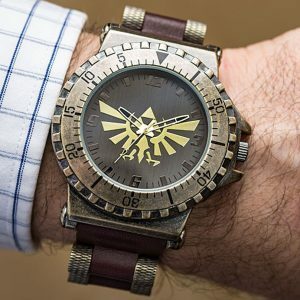 This piece of officially licensed Legend of Zelda merchandise is a must have for the avid sword wielding princess rescuer. Relive the old days of never leaving the house as a kid without your GameBoy Color! These high quality GameBoy shaped flasks may not be able to play Super Mario Bros or Pokemon, but will instead hold 8 ounces of your favorite booze. Are you looking for a unique way to charge your phone? Look no further than this authentic NES controller that has been up-cycled into a fully functional charger. Perfectly fits well in besides any retro gamer’s bed or desk! 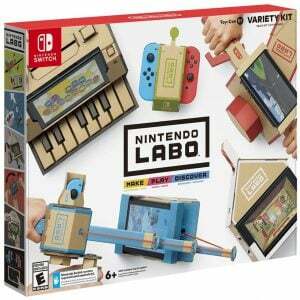 Make, Play, and Discover with Nintendo Labo! Simply have fun making DIY cardboard creations and bring them to life with the technology of the Nintendo Switch. This variety kit includes six different projects to make! Bring your favorite lovable little critter from Woolly World to life! He loves to swallow turtle shells, eat apples and jumps very high. This cute green dinosaur can be your a new faithful companion to cuddle and squeeze. You found the Fairy Slingshot! Skillfully fire deadly ammo at your next visit the Shooting Gallery with this life-size, working replica of Link’s slingshot! 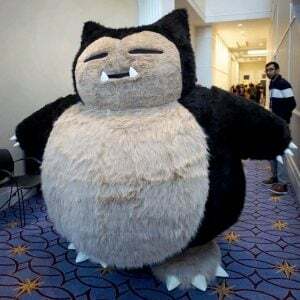 All you need are a few Deku Nuts and you’re ready to start blasting!